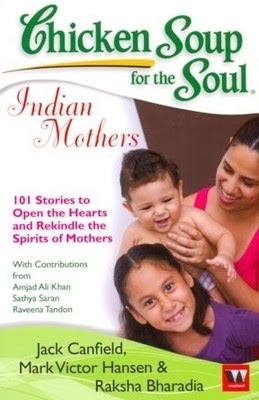 My Angel is my first story that found its way to publishing through Chicken Soup for the soul: Indian Mother. This is my real life incident which happened one day as I was returning back to my University Bansathali Vidyapeeth after spending the summer vacation at my home. "I am missing mother badly", cried my roommate on the very first day of hostel. I found it funny to see such a grown up girl crying 'ma, ma' like a baby. I never cried like that. I had a very comfortable childhood being the youngest of three siblings. 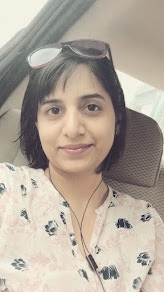 The year when my sister got married and my brother went to a different city for his higher studies, I too decided to join a reputed residential college in a far away land and experience life as a hosteler surrounded by people of my age group. I cleared the entrance examination and got admission where I wanted to be. I was very excited. She, as usual, helped me arrange all my stuff and prepare for my new life. dreams, and my aspirations again and again. And every time, she used to listen to me keenly while doing her regular work. Then during my return after my vacation of 3rd year, I was busy boarding my train. She gave her nice old smile, kissed me and said goodbye along with her regular take care advices. I sat on my seat beside the window ready with the book I was reading. My father was standing beside me, taking care of my luggage and giving one of those I-think-I-shouldnot-let-you-go looks. The train was about to depart. I looked outside the window to bid her one final goodbye but couldn’t find her. "Pa, where is she? ", I asked my father. "Oh, must be somewhere around", he answered sadly. I was puzzled! I again searched the platform and found her stealing herself away from me- standing with a blank look. That look etched into my memories forever. Fighting the oceans of loneliness in her big eyes, my Mother stood there as if telling herself - "let her go.. She’s going to get her dreams.. Let her go". I couldn't believe I didn't see this for three years. How much she miss being surrounded by her children all the time. And I could see the tears rolling down on her cheeks. I could see her loneliness, her love and her selflessness that moment. him to comfort her after I go. Simply Amazing Roohi....After reading this i have realized that all mothers are truly "angels". I have always felt the same , but never thought of jotting down the same. Happy mother's day to you. You are also a mother, aren't you? Yes, I am the lucky one to give birth to Pihu :) Thanks for the wishes, Sir.. Wonderful post on this special day for all. Happy Mother's day! This was a beautiful read, Roohi. Brought back so many fond memories of my mother as well. That is a sad thing to happen to anybody!